PUBG Mobile and Resident Evil 2 are coming together to offer a new crossover event in the most popular battle royale mobile game ever. Read about it here. 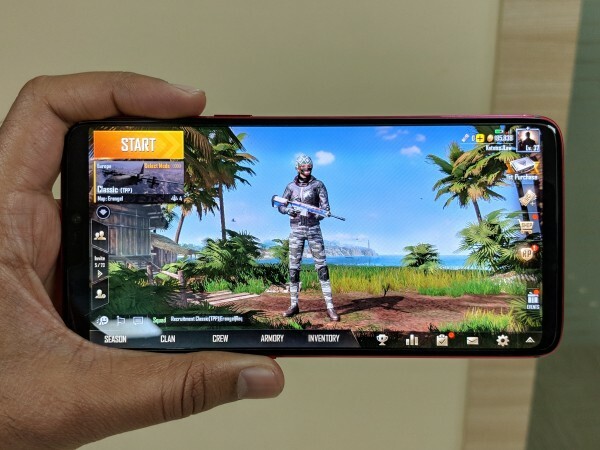 PlayerUnknown's Battleground, popularly known as PUBG, is a raving success on the mobile platform and the last couple of updates have made the game-play quite interesting. While several new features such as snow, a new map and more are expected to arrive in the future, the game developer Tencent Games has officially confirmed the next big thing on PUBG Mobile. If you're growing tired of shooting armed opponents, PUBG Mobile could soon feature zombies. The game's official Twitter handle shared a teaser that shows zombies in a post-apocalyptic world setting. This is in collaboration with the classic horror game Resident Evil 2, which is to be re-released early next year. "We're thrilled to enter this partnership with Capcom and their iconic Resident Evil game and look forward to an exciting collaboration that will delight fans of both franchises. It will present a combination of the world's most popular mobile game and a video game masterpiece that will be well worth the wait," Vincent Wang, General Manager of Global Publishing Center at Tencent, said in a statement. The details on when this crossover event is going live remain unknown at the moment. In fact, there's no exact knowledge that a new zombie mode will be introduced into the game. If previous collaborations are any indications, we could be looking at special Resident Evil themed skins, something to pump up the hype for the Resident Evil 2 release next month. As the battle between PUBG and Fortnite continues to grow intense, Tencent is keeping itself busy by trying to bring new features to its players. In fact, Tencent's efforts seemed to be paying off as PUBG Mobile's revenue grew 166 percent during the Black Friday week, which was 43 percent more than that of Fortnite's earnings. If PUBG Mobile's latest collaboration with Resident Evil 2 is about bringing a zombie mode, there will be more fortune coming its way. If the new crossover event is about special themed outfits, PUBG could be making some profits from Capcom. In other news, Tencent Games is bringing its popular battle royale game to PS4 on December 7. The game will feature the classic Erangel, Miramar and Sanhok maps and the lauded snow map arriving this winter. PS4 owners playing PUBG will enjoy all the game's features, modes, custom matches and more.